A business’ longevity is usually a moniker of how steadfast and customer oriented it believes. One hundred and forty years is a long time to be in business. And it’s particularly notable if the company in question manufactures the oldest brand in a highly competitive and specialized field. This longevity takes on added distinction when that company has also been the industry leader for the greater part of its existence. Such is the honor of The S&S Coach Company. S&S was founded in 1876 as the Sayers and Scovill Company by William Sayers and A. R. Scovill. 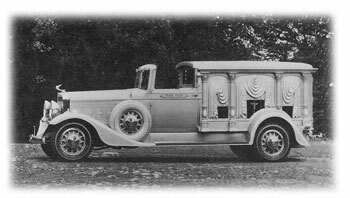 The funeral coach business was thriving at the turn of the 20th century, and sharp competition helped create the superlative standards of craftsmanship and design which remain an S&S tradition to this day. By 1906, the internal combustion engine was revolutionizing the funeral carriage trade. Unsurpassed quality and engineering ingenuity enabled S&S to be the only firm to accomplish the motor car changeover and continuously maintain its position in the marketplace. 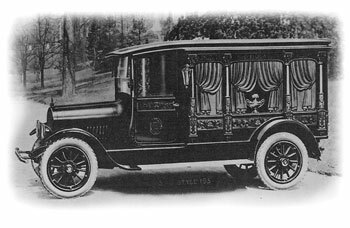 Today, The S&S Coach Company is the only true survivor of the pre-automotive funeral coach era, still in continuous operation. The succeeding years saw the design of the professional car assume various appearances — from ornate, lavishly-carved body panels to towncar and limousine concepts — and all along the way, the S&S nameplate denoted leadership in quality, innovation and refinement. Today, The S&S Coach Company is still recognized as the leader in professional car design and quality. A legacy that has been built on unrelenting excellence.